MSC Preziosa joins her sister ship MSC Divina, along with the ever popular MSC Fantasia and MSC Splendida, as the fourth ship in the series of Fantasia class cruise liners from MSC Cruises. Offering the utmost in comfort, service and advanced, environmentally-friendly technology, she shares many sophisticated features with her sister ships, from the exclusive designer suites of the MSC Yacht Club to the lavish wel lbeing facilities of the MSC Aurea Spa. MSC Preziosa boasts 1,751 cabins, 26 lifts, and 18 decks, 14 of them for passengers. Guests can enjoy three main restaurants, two specialty restaurants, 21 bars, a casino, four swimming pools, including an infinity pool, 12 whirlpools, a bowling alley, a sports area with playing fields, a fitness centre, a children’s area, the Vertigo waterslide and the superb MSC Aurea Spa. An exclusive feature of MSC Preziosa — and of all Fantasia class ships in the MSC fleet — is the MSC Yacht Club. Privileged passengers staying in the 69 exclusive MSC Yacht Club suites can take advantage of the private bar, solarium, hydro-massage pools, and the spectacular glass-walled observation lounge with amazing ocean views. The butler service offers assistance at check-in, transport luggage, unpack, serve traditional English afternoon tea as well as arranging cigars and beverages, booking tables at restaurants, treatments in the MSC Aurea Spa, ad-hoc excursions and even arrange private parties. MSC Fantasia class ships offer 3 main restaurants. Each one boasts a top gastronomic selection thanks to the variety of dishes and the high quality of the foods, from choice Italian meats, scrupulously controlled, to fresh fruit. Every product is fresh and carefully handled, such as bread baked on board with the passion and knowledge of the most distinctive boulangerie. Dishes range from traditional and tasty Mediterranean fare, to the most refined international recipes. On MSC Preziosa guests can choose from different bars, inspired by different themes and inimitable in their wine and food selection, thus satisfying even the most sophisticated and demanding palates. MSC Cruises’ uncompromising dedication to its passengers is nowhere more evident than the unrivalled entertainment programmes and facilities offered on board MSC Preziosa, with its Theatre, futuristic Disco, Casino and video games room. Once you've indulged your taste buds, move on to your body. The MSC Aurea Spa mingles soul-soothing Balinese massage with tranquilizing water treatments derived from ancient Roman practice, and the result is divine. Plus, enjoy full access to the saunas, Turkish bath, massage room, whirlpool, solarium, thalassotherapy, and relaxation room. Prefer something a little more up-tempo? Head up to the exercise room, swim through four different pools, try your hand at squash, or head to the games arcade to play through the Formula 1 simulator. There's always more to explore onboard the MSC Preziosa. Consider opting for MSC Yacht Club for the ultimate cruising experience. 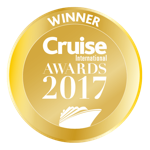 Those who travel at this level will enjoy some amazing advantages such as bespoke cruise excursions, private shopping opportunities, a 24 hour butler and concierge service, and all inclusive food and drink. They will also have access to The One Sun Deck and Top Sail Lounge, in which there are exclusive areas such as a private pool, whirlpools, a stunning restaurant, and lounge with panoramic views.